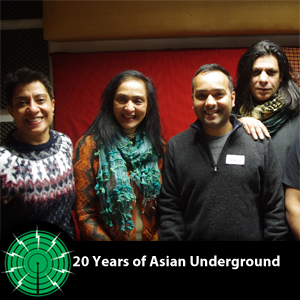 20 Years ago a genre known as Asian Underground emerged in the UK Dance music scene. Join NAJMA AKHTAR, AKI NAWAZ (Fun-Da-Mental), DJ RITU and AJAY SRIVASTAV (Swaraj) in a special roundtable discussion as they talk about the records, labels and club nights of this forgotten genre. Hear the true story of the roots, politics, role of women and demise of Asian Underground. Written, presented & produced by Isuru for SOAS Radio.